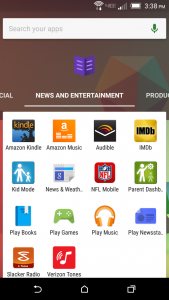 Magic Android Launcher is essentially a search engine for your Android, and it’s nothing short of, well, magic. It’s always pesky to have to rifle through the contents of your phone for that one note you know you wrote a month ago, or that text you sent to Bobby, or your mom’s new phone number. This new utility app solves that. Whenever you need to find anything on your phone, just open up Magic Android Launcher. A search bar pops up, where you can write whatever keyword you want. The app searches through the entire contents of your phone, from your apps, your calendar, your contacts, and more, to help find whatever you were looking for. This feature is called Fast Universal: it even has access to your music library and settings. Another feature, App Organization, allows you to prioritize certain apps over others in an auto-categorized “app tray”. The idea behind this app is fantastic. Everything you need can be surfaced with just a word and one tap. It provides the user with an efficient way of using their Android, making the user experience all the more enjoyable. Got an Android? 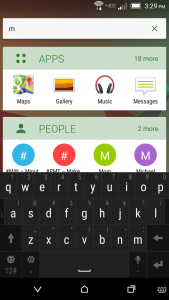 Beta test Magic Android Launcher, which comes out on May 1st, 2015, here.